Spaces are limited to six mentees, so please contact us if you're interested. MENTOR Meetup - 11 August 2018 ! At our mentor meetup, mentees meet with one mentor and our WEMNE founder over an brunch to discuss their professional and business development goals and aspirations. This meetup is a great opportunity for women to connect with other like-minded individuals, but also gain insight from a highly successful women such as, Sandra Federighi (CFO Stella McCartney). Our previous events have ranged from brunch and learns with highly successful women, to workshops on building your professional network. We have been very fortunate to have amazing women (and a few men) join us as guest speakers at our events, some of which include Melanie Eusebe, Vanessa Vallely , Pip Jamieson (Founder of the Dots), Tunji Akintokun MBE (Cisco Director) and many more phenomenal speakers. Panel Discussion - Tuesday 13th March 2018! 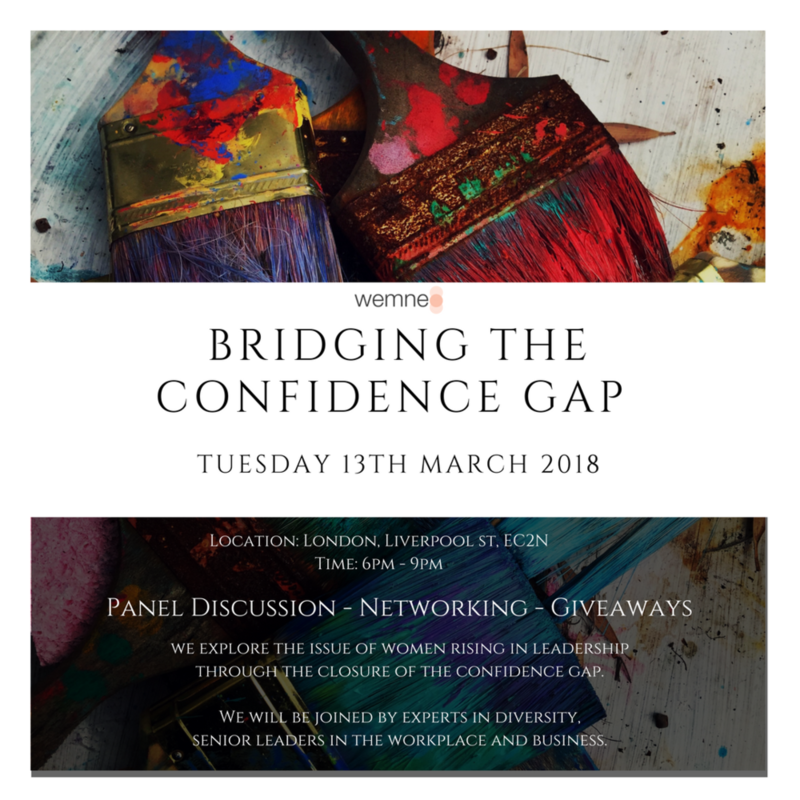 As fashion season and International Womens day aproach, March is a great time to speak not only on body confidence but also how we come across in our various work environments. In Lean In Sheryl Sandber talks about the female affliction being a lack of ambition and not a lack of talent. This lack of ambition isn’t fuelled by laziness, it’s fuelled by a lack of confidence. Confidence is nothing more than believing that you can. Women sometimes just don’t believe that they can. We will be shopping, networking and joined by a very interesting panel of spakers to explore this topic. 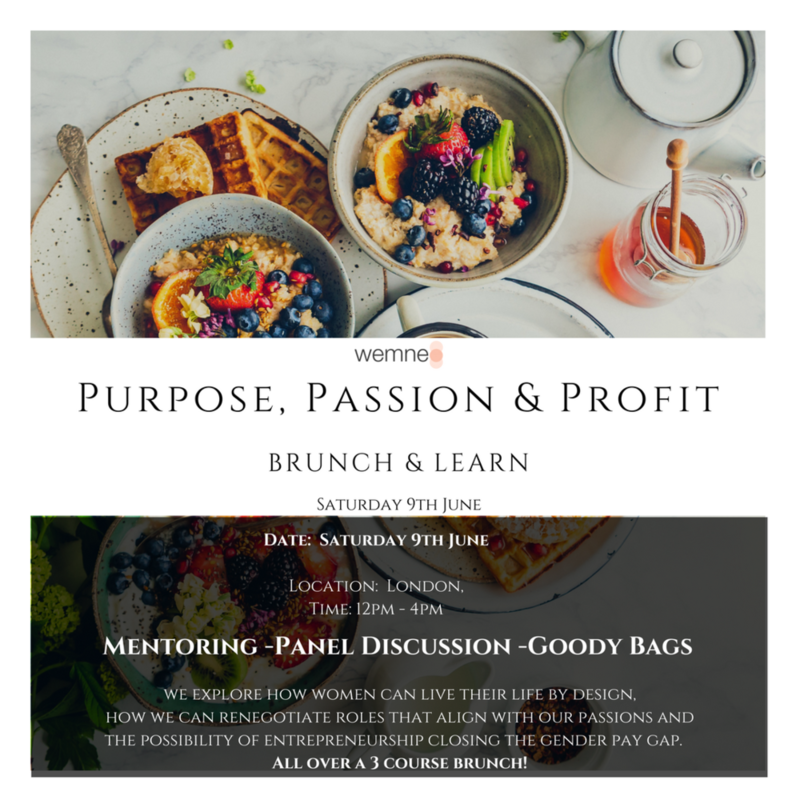 BRUNCH & LEARN SERIES - 9th JUNE ! We Explore how women can live their life by design, how we can renegotiate roles that align with our passion and the possibility of entrepreneurship closing the gender pay gap. We should all see ourselves as entrepreneurs – it’s a mind-set, not a business model! Click here for more details, and watch here for our founders thoughts on the meaning of Purpose, Passion & Profit.